Clark Gregg as Phil Coulson: The character headlines the series. Coulson is a S.H.I.E.L.D. agent who oversees many of the division's field operations. Though he appeared to have died at the hands of Loki in The Avengers, he is revealed in the series pilot to have been revived by medical technicians after having been clinically dead for eight seconds. Speaking of his character's return from the dead, Gregg said, "When Joss described to me the mystery and the complexity and the unanswered questions about Phil Coulson standing there trying to deal with this, I found it so fascinating and so true to the world of the comics and mythology in general as I understand them that I was immediately in." The changes that Coulson has undergone since his survival from a near death experience will be explored during the first season. 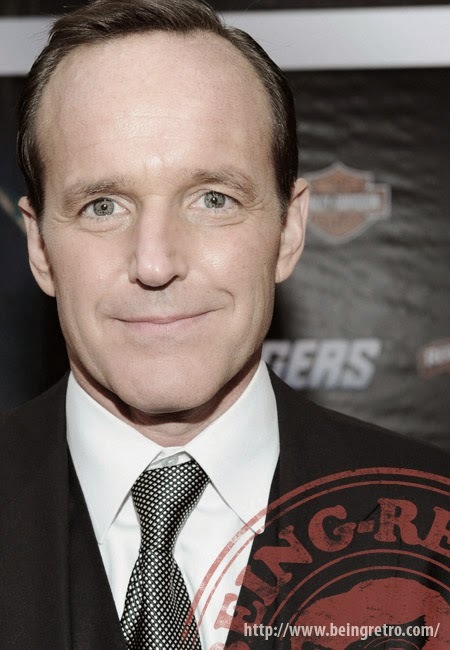 Executive producer Jeffrey Bell explains, "There is a lot that's strange and different about Coulson since his return to duty, and even he's noticing it. It sets him on a quest. "What happened to me? Why am I feeling this way? Who am I?" Executive producer Jeph Loeb adds that Coulson may regret uncovering his answers saying "When you start to pull on a thread, you run the risk of unraveling the whole sweater". Coulson is revealed to have been revived days after he died, and not mere minutes, in the episode "The Magical Place". In episode "T.A.H.I.T.I. ", it is revealed that the serum used to revive Coulson is of alien origin. What do you think about Ward's deception? My wife is so annoyed. I remember when everyone was wearing the 'Coulson lives' Tee shirts. Now I just want him to have some super power, or something that hasn't been revealed yet. "His first name is Agent." LOVE this character and its all because of Clark Gregg. I don't think half this stuff would be happening in the Marvel world w/o him. I'm pissed about Ward, too. I know its a necessary evil. I missed getting to your blog during the challenge but I saw it linked on another blogger's wrap up post. I really like Coulson but SHIELD as a TV show is not quite working for me. I wish they'd do a Game of Thrones-style cleaning house and recast the four main agents and those scientist kids. Wishful thinking!